The spinal cord is an extension of the brain and is made up of nerves. The nerves carry messages from our brain to the rest of the body. When the spinal cord is damaged, the communication between our brain and the rest of our body is disrupted, resulting in a loss of movement and sensation from below the level of injury. Damage to the spinal cord can be caused by trauma, like an accident, or as a result of infection or disease. It is a common misconception that the spinal cord is one single piece, however it is actually a column of nerves protected by a sheath of myelin and then further secured by 31 butterfly-shaped vertebrae. The cervical spinal cord: this is the top portion of the spinal cord, where the brain connects to the spinal cord, and the neck connects to the back. This region consists of eight vertebrae. The thoracic spinal cord: this section forms the middle of the spinal cord, containing 12 vertebrae. The lumbar spinal cord: this is a lower region of the spinal cord, where your spinal cord begins to bend. There are five lumbar vertebrae. The sacral spine: this is the lower region of the spine, also with five vertebrae. There is no actual spinal cord in this section, it is made up of nerve roots which exit the spine at their respective vertebral levels. 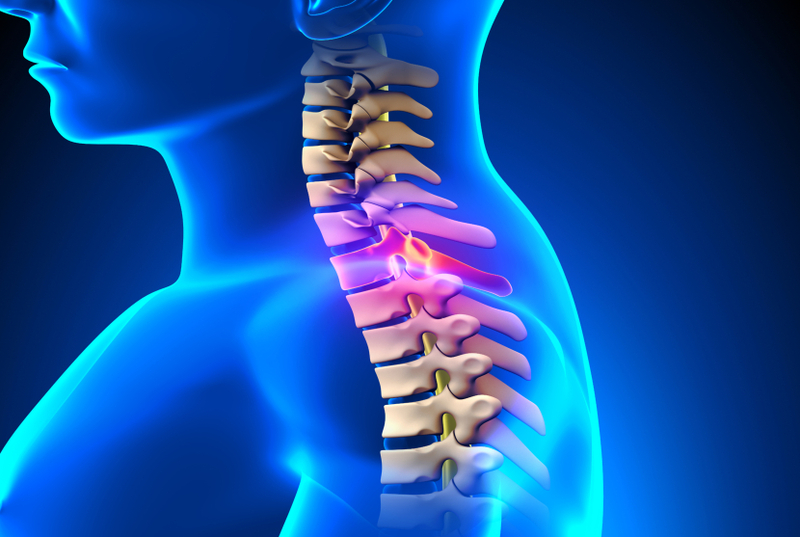 How will a spinal cord injury affect the body? The higher up the spinal cord injury, the more movement and sensation will be lost. Damage to your spinal cord in your back will result in paraplegia. Paraplegia affects the movement and sensation in your legs and potentially some stomach muscles. Damage to the spinal cord in your neck with result in tetraplegia. Tetraplegia affects movement and sensation in all four limbs, as well as stomach and some chest muscles. Doctors classify injuries as either complete or incomplete. In a complete injury, the spinal cord is sufficiently damaged across the whole of its width that there is complete loss of sensation and muscle control below the level of injury. Specialist spinal cord and serious injury lawyers involved in dealing with Serious Injuries litigation will often face a number of practical problems prior to being able to prove legal liability. In order to secure compensation for a spinal cord injury sustained, a Claimant must establish who is ‘liable’ i.e. who is responsible for the injury. To prove legal liability, it is necessary to establish that the other party was negligent and/or in breach of their statutory duty. In road traffic collision cases in particular, it will often be the police collision report that will confirm the information held. These reports usually contain detailed sketch plans, witness statements and engineer’s reports. However, police collision reports will not usually be disclosed until any criminal proceedings have been finalised. This can often lead to months of delay in getting sufficient evidence upon which to base a legal case. After serious workplace accidents, the Health and Safety Executive (‘HSE’) will often investigate and report. Again, this can take many months. If there is any dispute about the circumstances of the accident this will also cause a considerable delay. Even if primary liability is admitted, arguments over whether the victim was wholly or partly to blame (i.e. contributory negligence) for the accident may continue. Every decision on contributory negligence will turn on the facts of the case and therefore it is important that an experienced specialist serious injuries legal team deal with the case. Many spinal cord injuries are complete accidents. Whereas, others could have been avoided. If your injuries are a result of somebody else’s negligence, you could be entitled to compensation, which can pave the way to an easier future, provide additional care and pay for rehabilitation. A case manager will put together a team of physical therapists, occupational therapists, recreational therapists, nurses, social workers and psychologists who will craft a personalised rehabilitation plan that will aid the process of adjusting to a different way of life. Obtaining compensation is complicated and requires the input of a legal specialist. You have to determine the effects an injury will have both now and in the future. If you have sustained a spinal cord injury through the negligence of another please contact our Medical Negligence and Serious Injury department on 0191 300 1833.